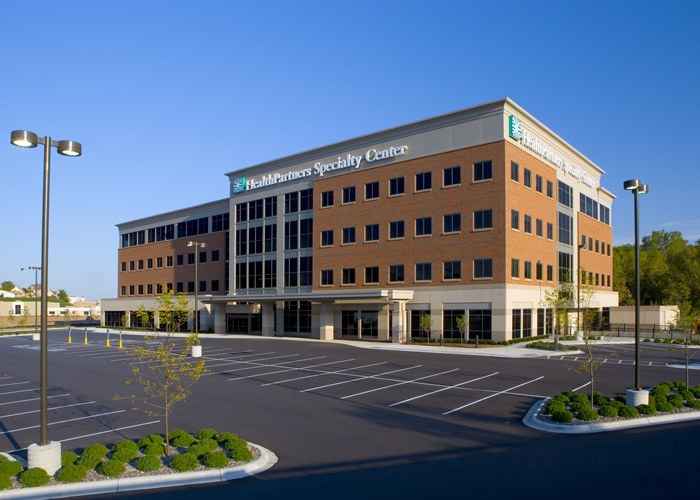 The HealthPartners Specialty Center is a 130,000 square foot facility housing 20 different medical disciplines on four floors. The center’s imaging equipment for MRI, CT, and PET is located on the first floor, which is slab-on-grade. Structural steel beams and columns support composite slab floors and metal roof deck. Structural steel bracing provides lateral stability to the building. 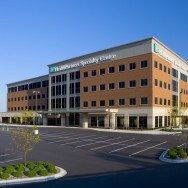 To conform to the look of other HealthPartners’ facilities in the region, the exterior of the building is a combination of brick, precast concrete, and metal panel components.